The Eurasier was bred as the 'perfect family companion'. They are dogs with an even temperament, self-assured when mature, and with a jolly outlook on life. Often reserved with strangers, they are watchful and alert, and develop a very strong bond with all the family, including other pets. For the full development of all those wonderful qualities, Eurasiers need close and constant contact to their family. Therefore they do not do well when regularly left alone for longer periods of time, kept in kennels and/or in larger numbers. Being the very intelligent and sensitive breed they are, Eurasiers benefit from social interaction and mental stimulation. Each Eurasier is very much an individual with its own personality. 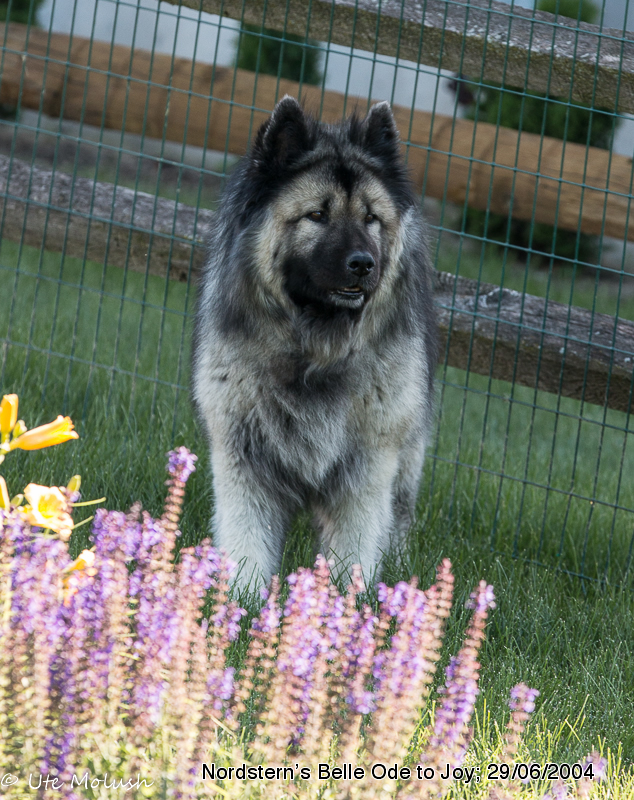 With early socialization and gentle, positive and consistent training methods, many Eurasiers come very close to the breed goal of being the 'perfect family companion'. Some progress to obtaining the Good Citizen Dog Scheme Awards and enjoy Heelwork to Music, Agility and Showing. 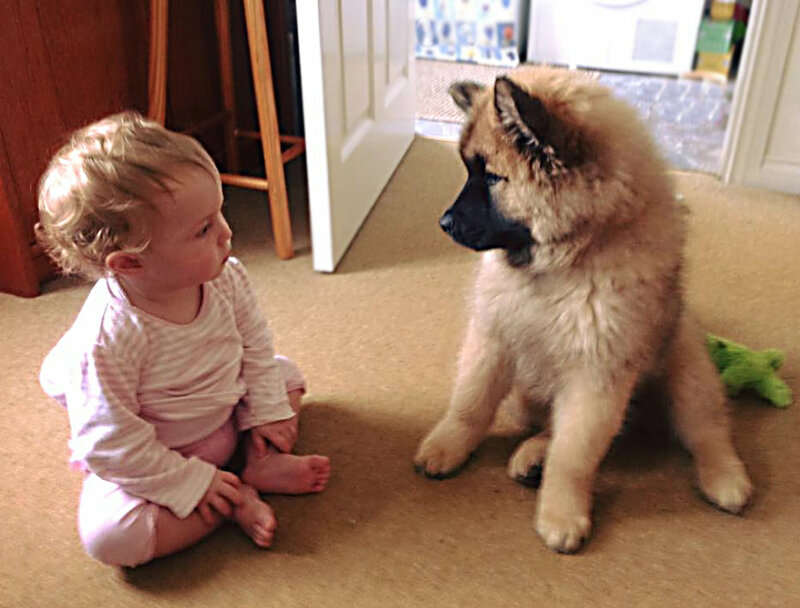 Many a Eurasier owner reports that their puppy is the star of their puppy class! Eurasiers are medium to large-sized dogs. When fully grown, Eurasiers require at least 1 hour of off-lead exercise daily. Eurasiers have a loosely lying double coat in a variety of colours, which needs regular grooming down to their skin, at least once a week. When neutered, many require professional grooming, as their coats can become much more difficult to manage. Many live a long and healthy life with a life-expectancy of 12-14 years. The oldest Eurasier lived to 18+ years. For a gallery of some of our Oldies please see below. The Eurasier is a generally healthy breed. Due to diligent selective breeding, hip dysplasia is usually not a problem, but needs to be investigated in all breeding stock and their extended family, wherever possible. The same goes for elbows and patellas. Eyes also need to be checked, as especially entropic eyelashes (those growing inwards) can be very distressing for the dog,. Thyroid function is another important health check that needs performing regularly. Thanks to a German club, the KZG, Eurasiers can now be genetically checked for Dandy Walker Like Malformation (DWLM), which will help to prevent it from surfacing in the future. For an overview of highly recommended health tests, please see this page. Even if you do not think of ever breeding your Eurasier, the information you will gain when doing his/her health-checks will inform your breeder, the breed in general, and last but not least YOU! That way many a health problem can be treated early and successfully! 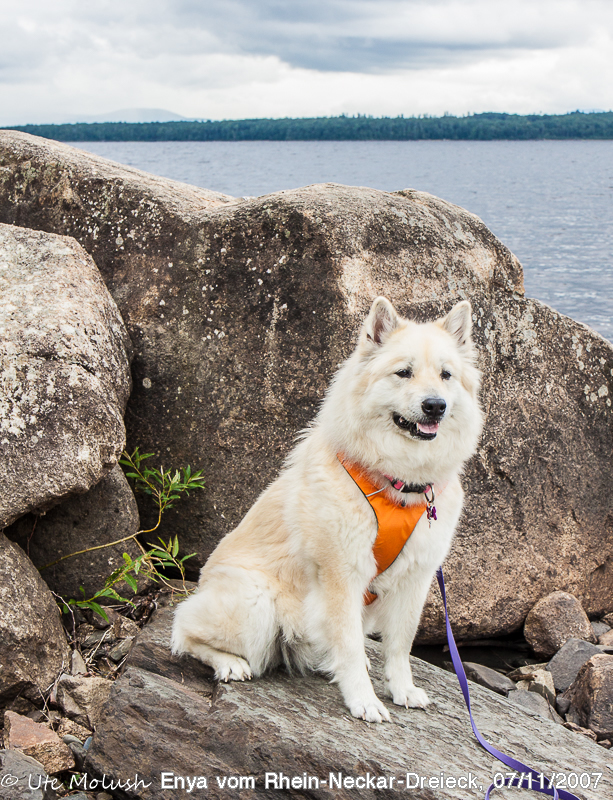 The Eurasier story began in the 1960’s in Germany, when Julius Wipfel and his wife Elfriede, in their quest to create the perfect family companion dog, crossed the Chow-Chow and Wolf-Spitz and created the Wolf Chow. Through his breeding program he endeavoured to combine the best qualities of these breeds and create a dog with an ideal temperament for a family pet. After limited success, their ideal was fully achieved in 1972 when a third Spitz breed, the Samoyed was introduced into the breed. The combination of these three breeds created a wonderful and unique dog, which was renamed the Eurasier and subsequently recognized in 1973 by the F.C.I . 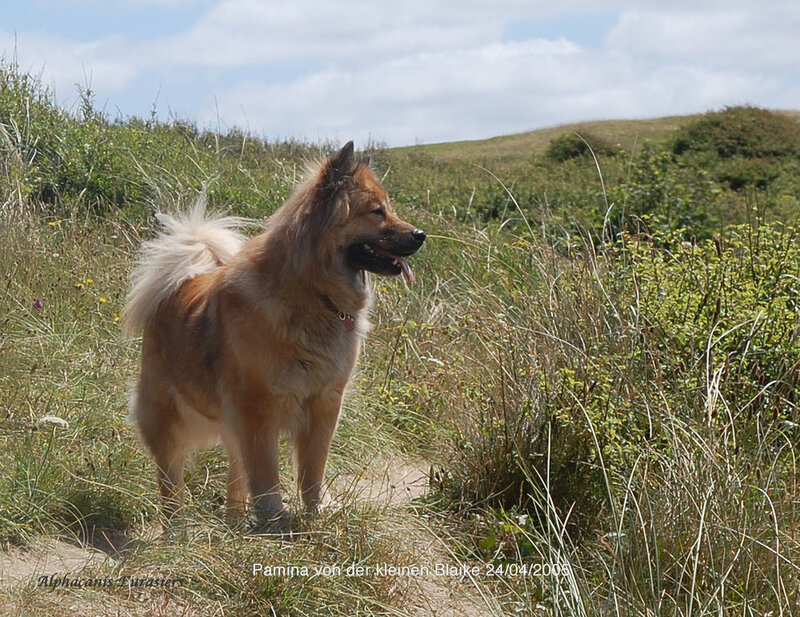 The Eurasier has been on the Breed Register of the UK Kennel Club since 2013.